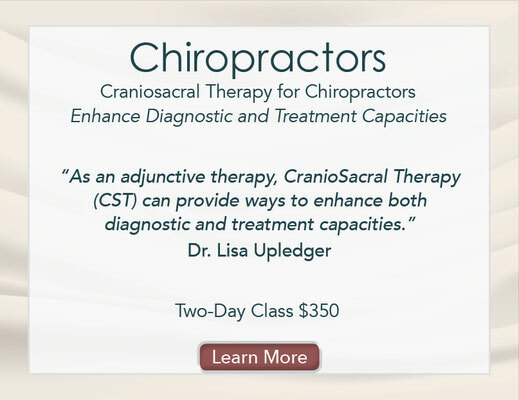 "I have been a chiropractor since 1981 and practicing CranioSacral Therapy (CST) since 1986. I consider myself blessed to have Dr. John Upledger, the founder, creator and developer of CranioSacral Therapy as my husband, teacher and mentor. My front row seat to the development of his work and long hours of discussion about CST proved invaluable in my practice. Together we worked at healing, teaching and treating patients, exchanging many hours of treatment. I created these classes for the opportunity to share knowledge, experience and my enthusiasm for this work with others." Click the image for class details and registration information. building on and refining hands-on work through blending, dialogue, etc. deepen knowledge of how to work with a specific region or structure of the body, such as the brain/cranium, etc. An appropriate class can be developed to address your selected issues in depth. Class length can be between one and three days, limited to a maximum of four therapists, to provide adequate individual instruction. Fee is dependent on the number of days. 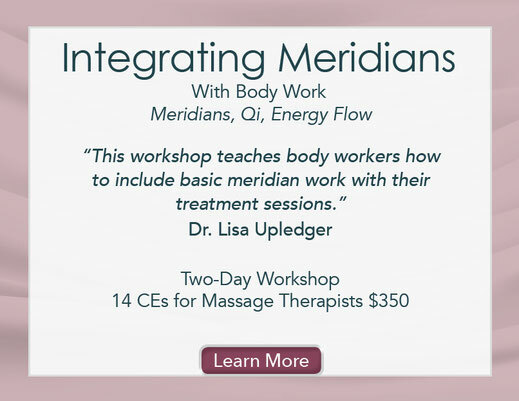 For further information contact Dr. Lisa Upledger at 561-746-5232. 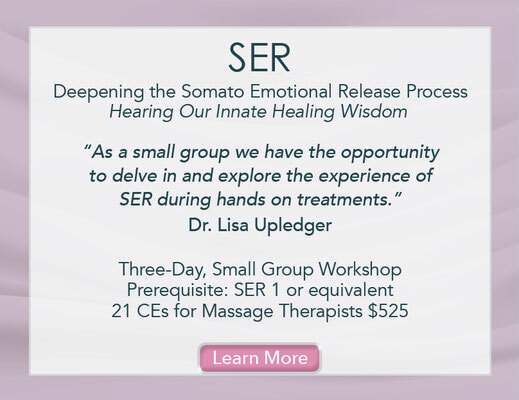 One of the best ways to deepen your therapeutic skills is to spend a day working with a professional as skilled in the field as Dr. Lisa. This gives you the opportunity to observe firsthand the dynamic between Dr. Lisa and her patients, and to learn through modeling someone with many years of experience. As you participate in the treatment process, you will learn firsthand how to modulate each step of treatment by observing how the patient responds at any given point to Dr. Lisa's initiatives. In addition, since you will participate in the treatment Dr. Lisa will provide you with invaluable feedback, suggestions and support on the strategies you explore. Your time together will include ample opportunity for addressing questions you may have and discussing the process of treatment.